Breakfast was the highlight of today’s goings on. Jayden, Devon and I went to the Breakfast Club in Angel today for some good breakfast. Since we’d decided to go on a Saturday we also decided to be there as soon as it opened. Why not guarantee service right away? We’d read reviews about some waits being as long as two hours, we weren’t quite up for that! We arrived a few minutes early and had to wait outside for a little bit which wasn’t too bad. As soon as it was 8 though we were let in and seated right away. Devon, being the genius she is looked online the night prior to going and found out that they had Salted Caramel Milkshakes which didn’t appear on the menu. 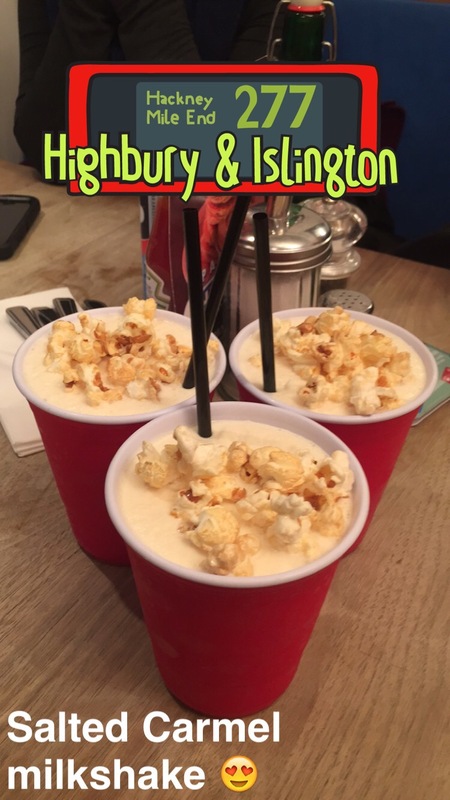 Needless to say, all three of us ordered one, probably my favorite milkshakes here so far! I wasn’t in the mood for pancakes or Eggs Benedict so I went with a breakfast burrito. I very much so enjoyed the burrito, it had just the right amount of salsa and eggs plus everything else, I added extra spinach since I’m a spinach nut. 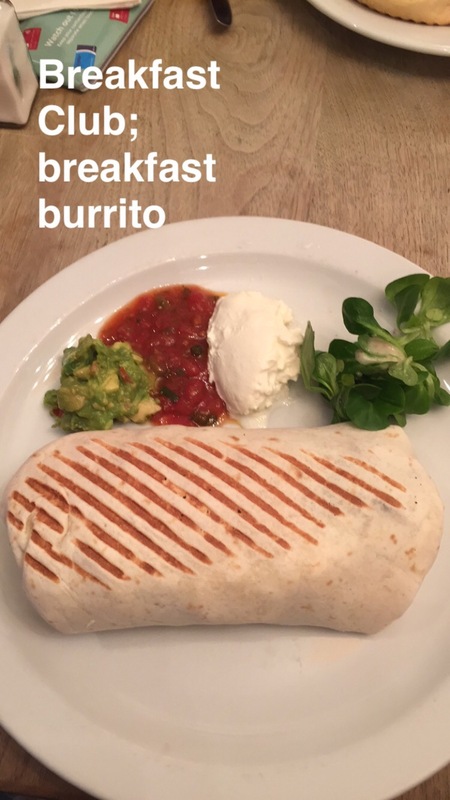 The burrito itself was a work of art. The tortilla was beautifully browned as you can see. My favorite part was the spicy pepper sauce which was a little on the milder side yet still delicious. The chorizo was decent (I’m not a huge sausage fan), eggs were great as usual, the roasted peppers were quite good along with the cheese! I highly recommend going to this place if you’ve got a little time to spare and a hunger for breakfasty foods! Tomorrow will be another day full of fun with the Chinese New Year celebrations!